Christmas time is HERE! Well, at least it is in our home :) The weather (75 degrees) says otherwise, and truth be told, I am totally ok with that. 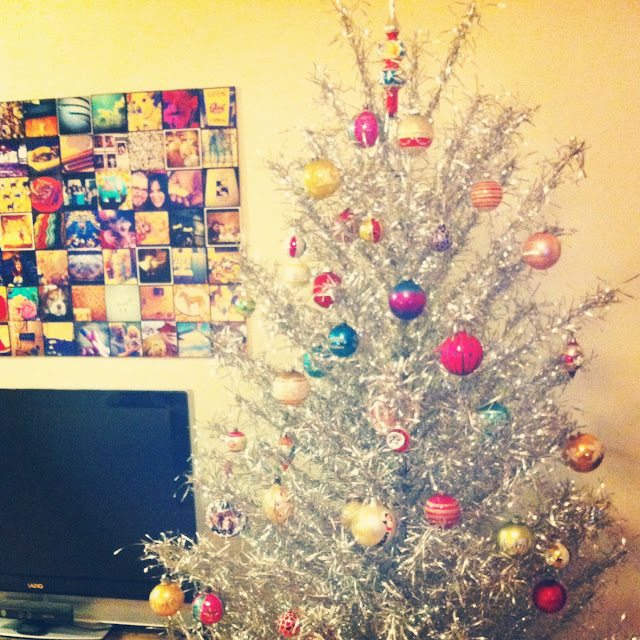 Every year, on November 5, I put up my Christmas tree, I can't help it! Here is a little peek, through the eye of my iphone, of our decorations so far. Hmmm...these photos are making me wonder where my little Christmas Putz houses are? I also did some online Christmas shopping last night since it's free shipping over at Amazon :) I am finding that I have no idea what I want for Christmas. Adam keeps asking me for my wish list but I seriously have nothing on it yet! I can find a million baby things that I want for our soon-to-be or for the nursery but not a single thing for myself. Technically, I am going to say that that is a good thing. I have my family, I have my friends, I have a cute house, and perfect puppy, and we are all healthy. Besides a baby, what else could a girl ask for? i love the silver tree and brooch tree! So cute! I loved decorating for Christmas in my younger days...you know, before kids...and with little kids...the wonderment has sort of given way to necessity...so I love looking at the way other people adorn their homes. I know what you mean about gifts...I honestly don't NEED anything...and anything I want seems frivolous when there are so many people in NEED of things. 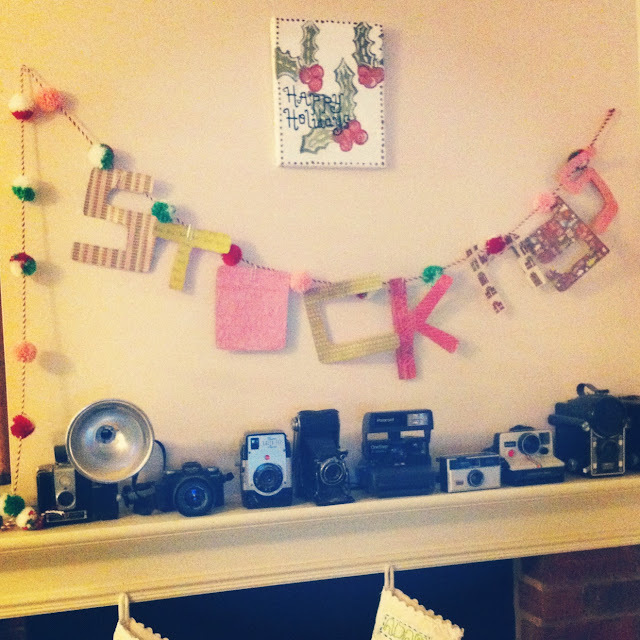 i love your decorations janel! 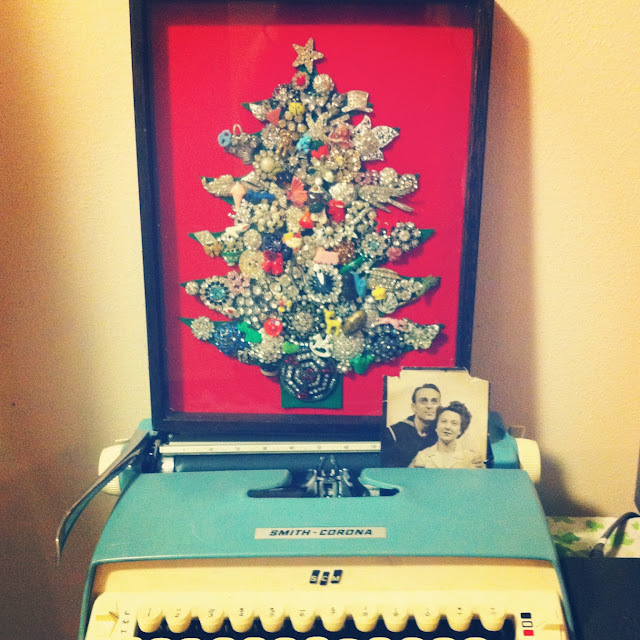 the vintage brooch christmas tree is my fave!! soooo pretty. 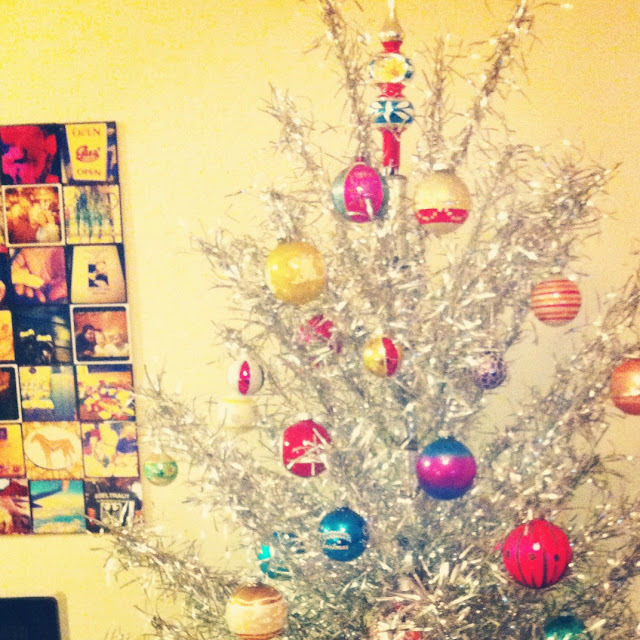 Love that silver tree...brings back childhood memories! 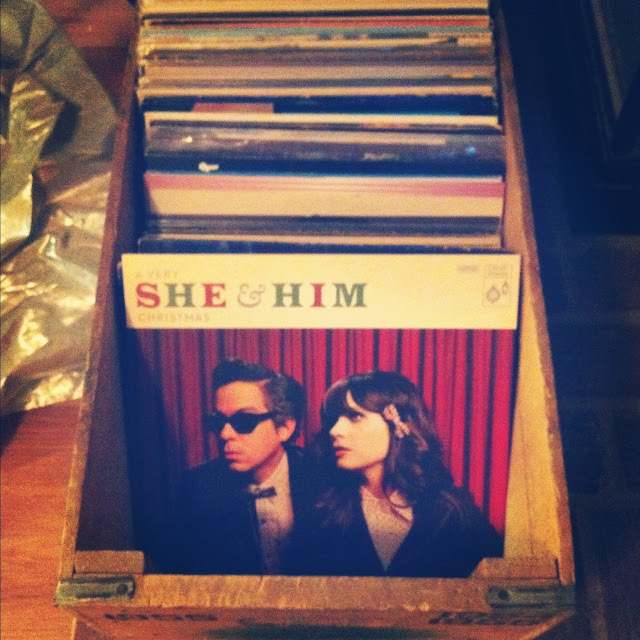 Also, is that She and Him cd Zoey Deschenel? So beautiful!! 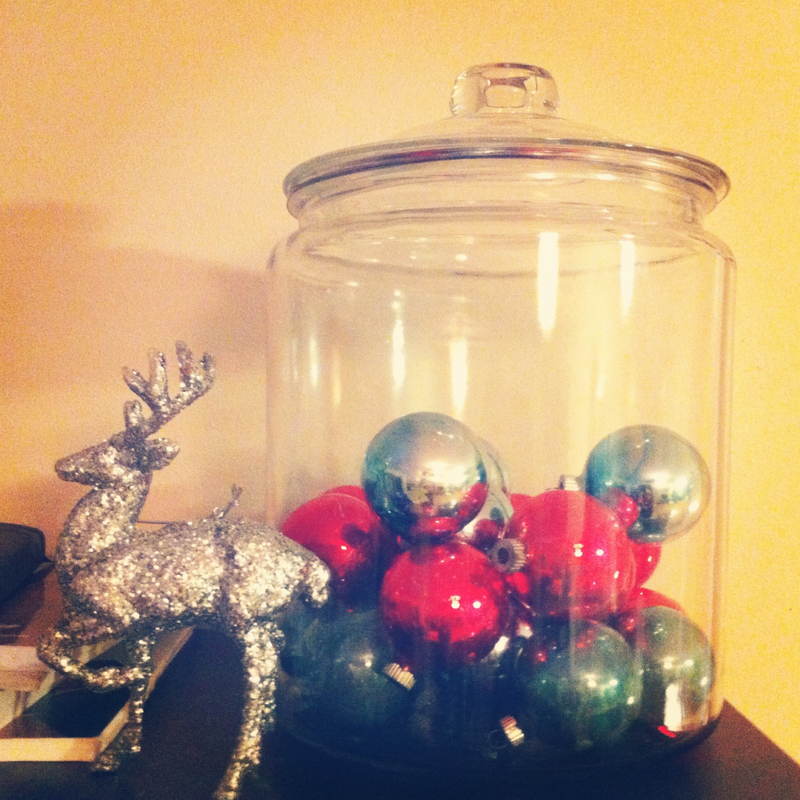 You've inspired me to decorate! Oh, and to buy the She and Him Holiday album (on vinyl! love!). 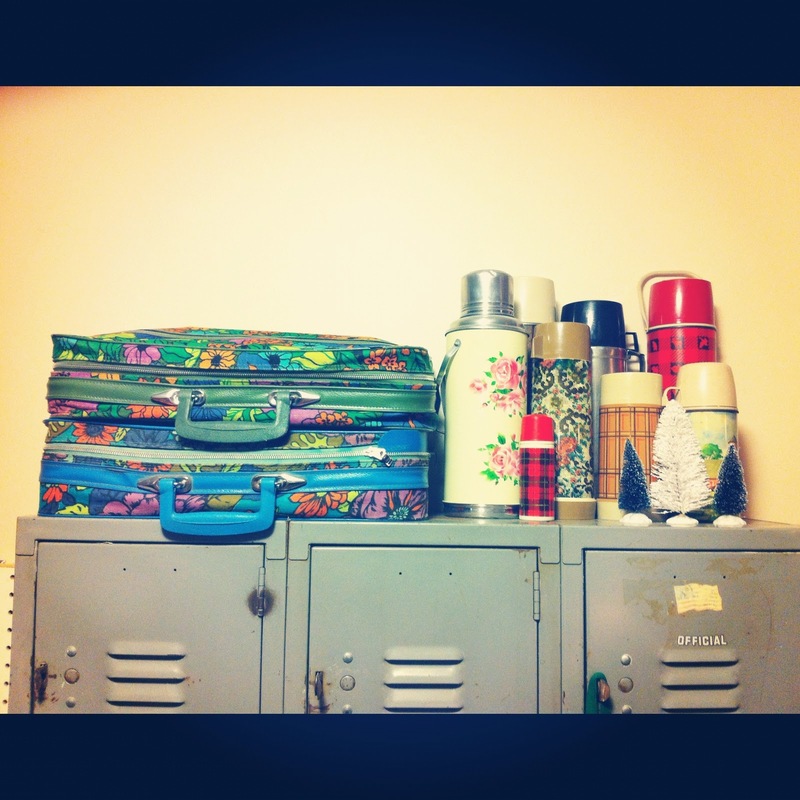 I have those same suitcases!